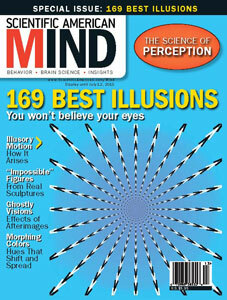 Steve and I write the Illusions column for Scientific American Mind. 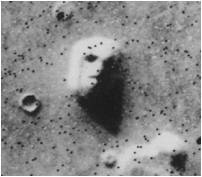 Our article in the September/October issue, already released, discusses pareidolia: a type of illusion in which a vague or random stimulus seems distinct and meaningful. A preview of the article is available on the Scientific American website. Also, don’t miss Phil Plait’s disquieting account of showering with Lenin.